So. It’s fricken huge, it’s made by Leica who already make really expensive camera gear, it has a 1600mm focal length, weighs 132lbs & I could easily fit my head into the fat end… This, is the lens you cannot buy. Sheikh Saud Bin Mohammed Al-Thani of Qatar, shelled out a cool $2,064,500 for luxury German camera brand, Leica, to custom build this mammoth piece of glass. 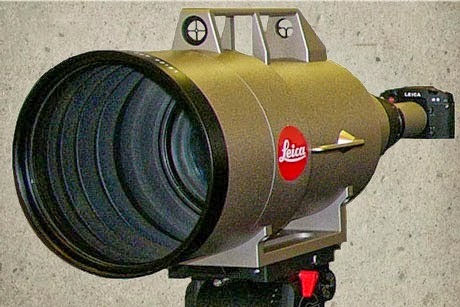 If he felt so inclined, he could also add Leica’s 2x teleconverter to bring the focal length to 3200mm. Which, if my calculations are correct, will allow him to almost see Uranus. Do I want one? I don’t think so. I’d rather buy an island somewhere. I can’t exactly see Leica’s large community of street photographers drooling over this one either. It’s certainly a “I bought it just because I could”, kinda thing. Enjoy it sir!… If you can lift it.